According to The Hollywood Reporter, the final new Saturday Night Live of 2015 is going to do everything it can to make viewers forget about the time that Trump guy hosted for 12 minutes. 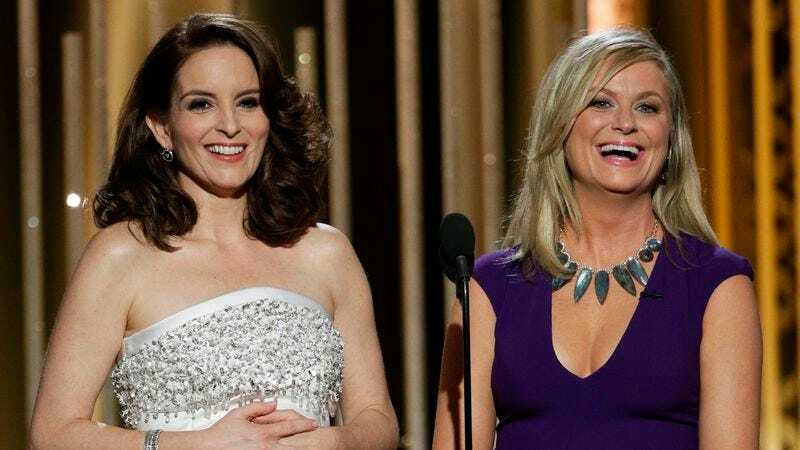 To accomplish this, this show will be bringing back not just one beloved SNL alum, but two of the most beloved SNL alums ever: Amy Poehler and Tina Fey. The pair will co-host the December 19 episode of the show, which will also feature musical guest Bruce Springsteen, so it’ll be a pretty big deal. The rest of December’s episodes are less exciting, but that’s only because they’ll only have one famous person hosting. Future Blade Runner star Ryan Gosling will host for the first time on December 5, with musical guest Leon Bridges. Then Chris Hemsworth will take the Bifrost from Asgard back to New York City on December 12 for his second time hosting, alongside musical guest Chance The Rapper.